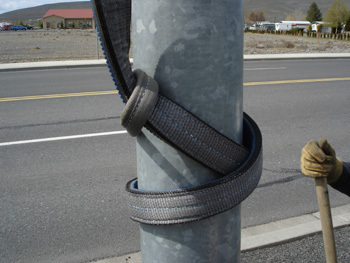 Light Pole Handling Slings combine Polyester Max Edge webbing with a Special Gripper Pad for handling and abrasion resistance. Stock Number LPHS2-902ME is rated at 5,000 Lbs. Choker. Recommended lengths are 8 to 12 Ft. You must specify length. 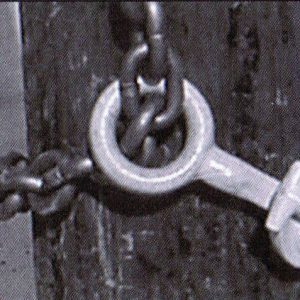 Be sure to account for the additional length required to apply a double wrap choker hitch. Pole must be double wrapped. For use in Choker Hitch Only. The Ultimate Pole Sling will not kink like cable or fray like rope. Slides down the pole better than cable. 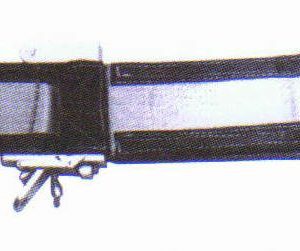 The Remote Release Sling is specifically designed for use in erector of wood beams and trusses. 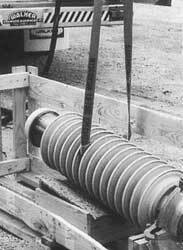 Bushing Slings are used in the installation and removal of transformer bushings. They can also be used to uncrate and rack bushings.